See a GP online instead. Looking for a doctor in Chester? You can see a GP online in minutes instead. No travelling and talk as long as you want with a friendly UK doctor. Available: on iPhone, iPad, Android Devices, Laptops and PCs. Getting an appointment at a walk-in centre isn't always easy. 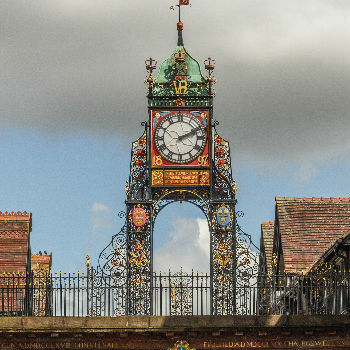 You could travel the length of Chester trying to find a doctor, but chances are you'd face a long wait. With our online walk-in centre, seeing a doctor is easy. 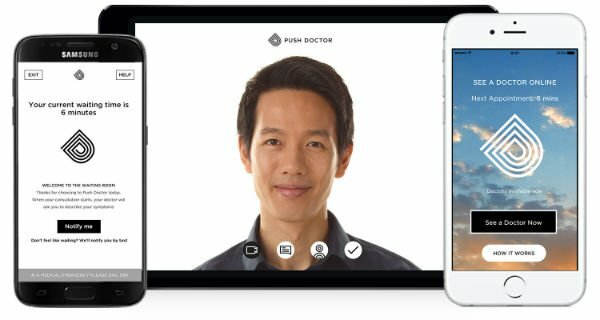 You just log in on your smartphone, tablet or desktop device and book a consultation in minutes. You can talk to our experienced GPs about any medical issues you're having for as long as you need to and get the advice you need. What's more, if you need to see a doctor out of hours, on bank holiday or during the weekend, we're here for you from 7am until 8pm every day. Our doctors can treat a wide range of medical issues with an online consultation. You might be wondering how they can do this without physically examining you, but studies have shown that eight out of ten patients can get a diagnosis without the doctor needing to touch them. You can ask our doctors about any medical issue, including joint pain, digestive problems and sexual health, and they'll be able to advise you. We're here to help you find a doctor in Chester. If you'd still like to visit a walk in centre in Chester, Boughton Health Centre is found just a short distance from Chester train station. They do same-day appointments in some cases. You'll need to call the surgery before 8am and hope they have a timeslot available for you. The opening times for the hospital depend on the ward – Click here for visiting times. They also have a 24 hour A&E department but this can have waiting times above 4 hours. Looking for pharmacies in Chester? There are plenty of places where you can collect your medicine. WS Young Pharmacy is found within Boughton Health Centre, close to Chester city centre. It's open five days a week.